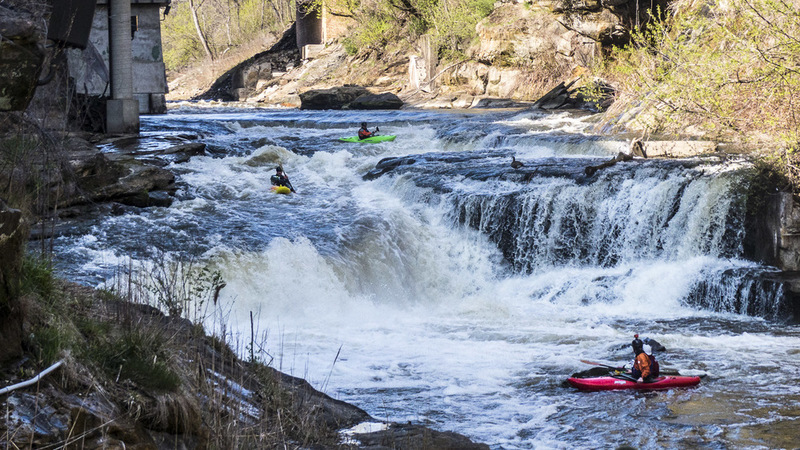 We typically focus on activities related to the northern reaches (especially in the Federal Navigation Channel) of the 85 mile long Cuyahoga River, however the Cuyhaoga Falls Kayak Race held on April 23rd caught our eye. 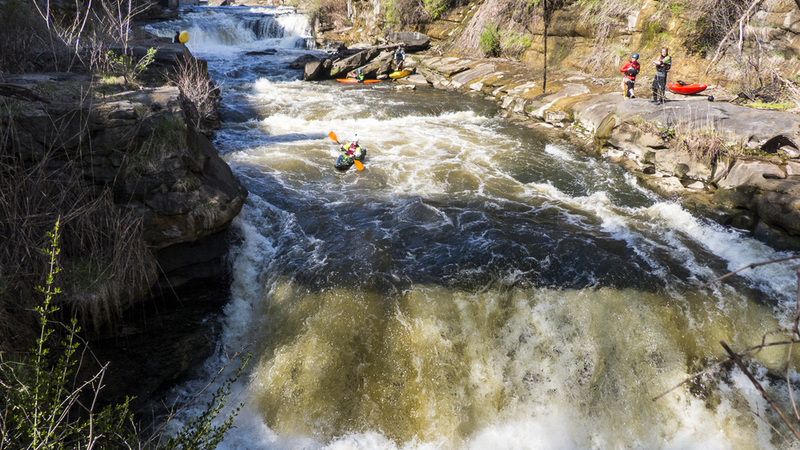 One day after Earth Day kayak enthusiasts hosted a kayak race on the half-mile long portion of the Cuyahoga River that flows through downtown Cuyahoga Falls and the Sheraton Suites. 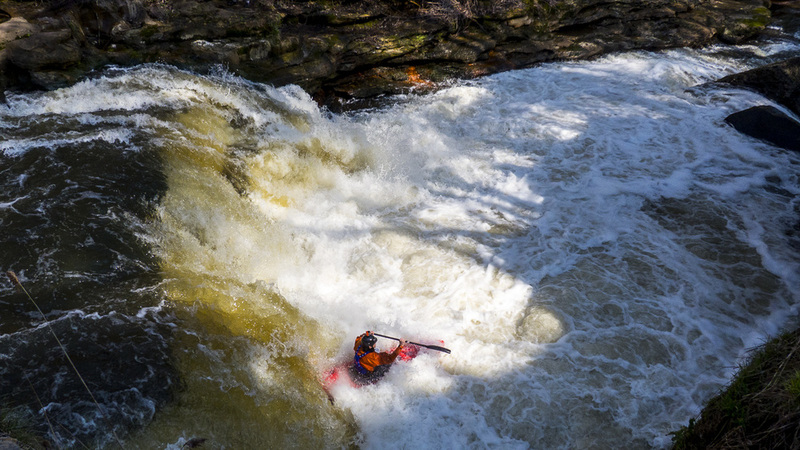 The course included several sections of class II whitewater and two class V waterfalls. Co-organizer's Nic Williams and Tommy Piros originally envisioned a small event with locals showing up on race day for a fun paddle. 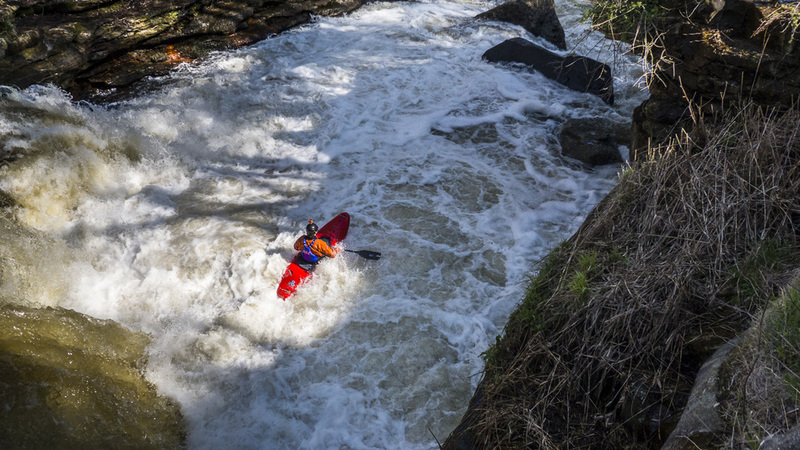 "But as time went by" said Piros "many people I barely knew and multiple kayak shops put in tons of work to get shirts, inform the city of Cuyahoga Falls, the mayor and media, which really helped get the word out on our event". 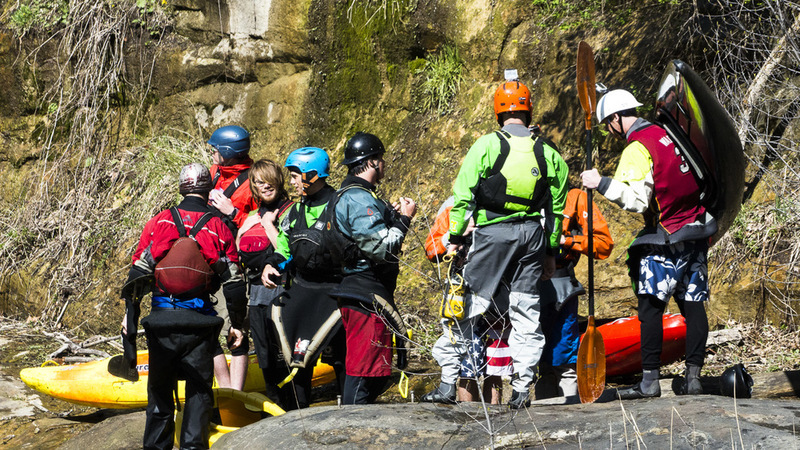 "We had a great turnout and the whole shore by the falls was lined with spectators." 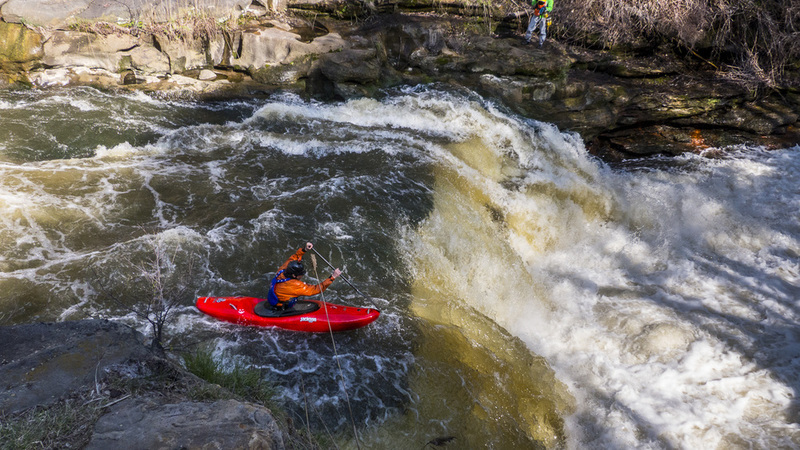 Piros said a conversation after the event with Cuyahoga Falls mayor Don Walters may lead to a kayak festival in the future. 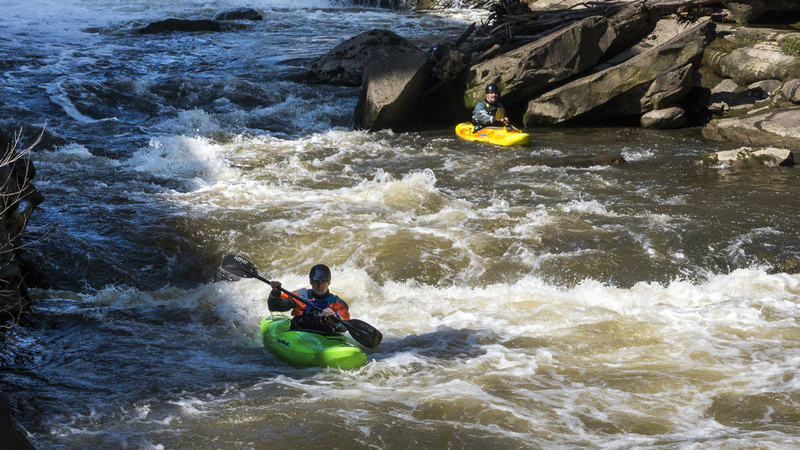 Whitewater kayak action in an urban setting sure sounds like a winner and an economic catalyst to us! Sadly we arrived at the kayak races late in the day so we missed capturing much of the competition and the enthusiastic spectators. Here are some pics. Some video (including slow-mo) of the late afternoon action as the kayak event wound down. Here's a POV vid from that morning, courtesy of Donald Howdyshell, of the first ever recorded guided raft transiting that section of the Cuyahoga River. 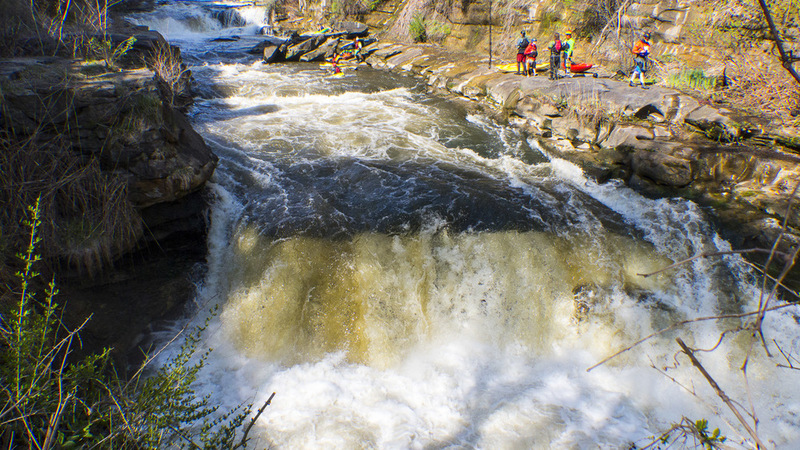 Professional guide Mike Williams from Ohiopyle, PA guided the raft through the rapids and falls. More of Don's vids here: LINK.